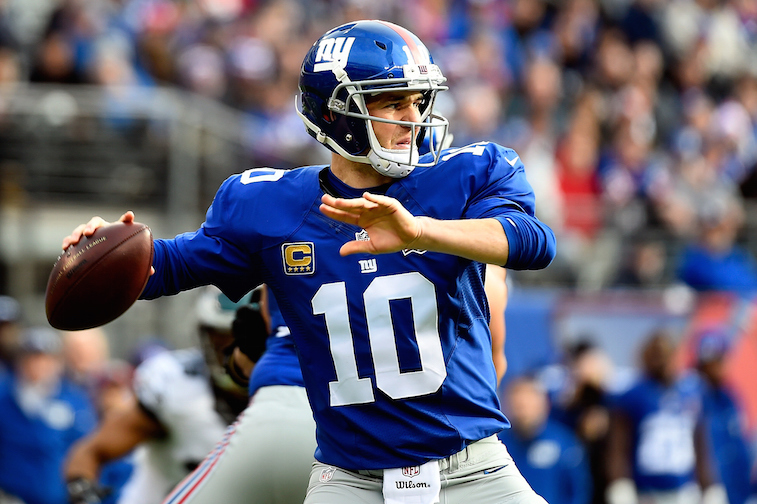 The New York Giants want to have Eli Manning signed to a contract extension prior to the start of the 2015 regular season. The problem, however, is that there is a significant financial gap in the ongoing contract negotiations between the team and the quarterback who has led them to two Super Bowl titles during his 11-years with the franchise. For starters, Manning reportedly wants his new deal to make him the highest-paid player the NFL. Green Bay Packers quarterback Aaron Rodgers is currently the highest-paid player in the league, earning an average of $22 million per year. While Manning does have two Super Bowl rings to his name, the notion that he is even close to being on the same level as Rodgers when it comes to their play on the field is laughable, and we’d be willing to bet that the Giants feel the same way. In actuality, if it weren’t for his Super Bowl titles, Manning and his representatives would have an extremely difficult time convincing the Giants, or any other team in the league for that matter, that the 33-year-old signal caller is worthy of being paid like a top 10 NFL quarterback. But then again, you can’t really put a price tag on the value of a Super Bowl title – two Super Bowl titles in this case – to an NFL franchise. Just ask the Baltimore Ravens who were forced to wildly overpay Joe Flacco after he led them to a Super Bowl title during the final year of his rookie contract. 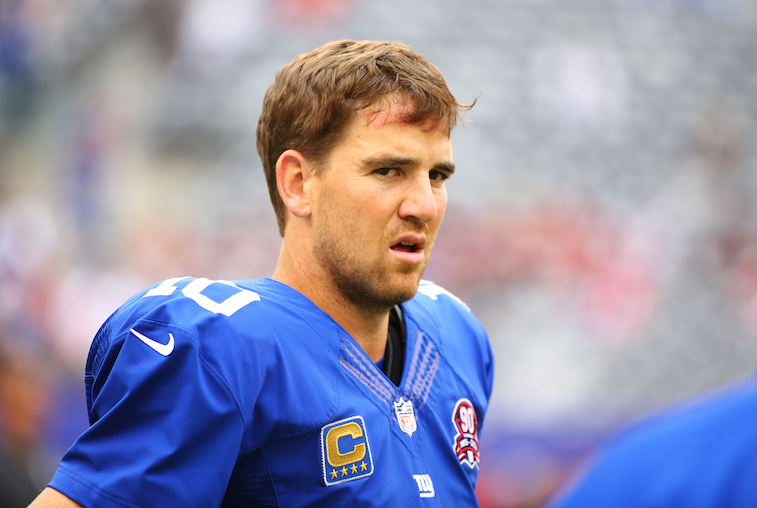 We fully expect Manning to sign an extension with the Giants at some point, especially given that their owner, John Mara, wants him to finish his career in New York and believes whole-heartedly that the three-time Pro Bowl quarterback “still has a lot of quality years left.” Does he deserve to be the highest-paid player in the league, though? Here’s our take on the situation. A good jumping off point for this contract negotiation would be the contract extension that Philip Rivers recently signed with the San Diego Chargers. Rivers’ deal is worth $83.25 million over four years and includes $65 million in guaranteed money. His average yearly salary of $20.81 million is currently the fourth-highest figure in the league, putting Rivers just behind Pittsburgh Steelers quarterback Ben Roethlisberger ($21.85 million per year), Seattle Seahawks quarterback Russell Wilson ($21.9 million per year), and Rodgers ($22 million per year). Manning and Rivers have been linked to each other ever since the 2004 draft day trade involving both players that sent Manning to New York and Rivers to San Diego. As a result, it’s safe to say that the Giants won’t be able to sign Manning for anything less than the $20.81 million per year Rivers got from the Chargers. And if you’re asking us, eclipsing Rivers’ contract is where the Giants need to draw the line on their end of the negotiation. The three quarterbacks ahead of Rivers in average yearly salary (Roethlisberger, Wilson, and Rodgers) all have at least one Super Bowl ring each, and all three have been substantially better quarterbacks than Manning over the last three seasons. Knowing this, we feel like an appropriate price for Manning would be a contract with an average yearly value that falls between Rivers’ ($20.81 million per year) and Roethlisberger’s ($21.85 million per year). There are no scenarios, real or hypothetical, where Manning would be worthy of being the highest-paid player in the NFL. All contract data courtesy of Spotrac, and statistics courtesy of Pro-Football-Reference.